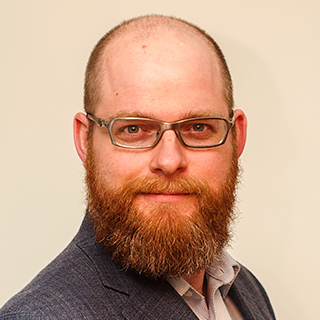 Jess McMullin is a Canadian-based management consultant who uses human-centred design and innovation to tackle the most valuable problems his clients face—from new kinds of government ID to new business models for social income assistance. Working in digital and UX since 1996, today he trains, coaches, and consults with leaders and teams to grow their own internal capability and culture for tackling complex challenges. His latest interests in supporting this capability growth for his clients are documenting lean service design practices, simplifying business fluency, and exploring analog tools for innovators. Jess believes deeply in the power of design for social good, working mostly with public sector clients since 2009. He speaks and teaches around the world. The world of services is rapidly shifting with the rising complexity and connectedness of networks, new business models, and expanding expectations. In this world, it’s not just digital that needs a lean, agile approach. The rest of service delivery, from orchestrating touchpoints to organizational change needs to come along too. That’s what lean service design offers: a way for teams to work at a pace that syncs with digital agility, even when you’re in the messy world of physical spaces, people-powered services, and interactions that require more than a chat bot or app. Building on the proven track record of Lean UX, lean service design offers a framework and tools for modern service innovation. How Sense and Respond, Lean Startup, and Lean UX thinking can be applied to identify real problems our services can solve—identifying the other MVP—your most valuable problem. What a Minimum Viable Service is, and how to create and test your own MVS. Using lean service design to spark design-driven transformation with your clients or organization. You’ll explore territory beyond the journey map to look at how to synchronize digital agility with the complexity of designing and delivering services at multiple touchpoints. You’ll also take away a PDF of the slides and templates from the workshop, and have the chance to give feedback that will help refine the Lean Service Design approach Jess is documenting with Jeff Gothelf, author of Lean UX and Sense and Respond. A sense of humour, a willingness to practice through play, and a desire to create services that work better for people. And remember your glasses if you need them! Optional, but helpful: a smartphone, something to take notes with. This workshop will be accessible for attendees just starting their own service design journey, but also have enough depth, specific tools, and new material that it will be valuable for seasoned veterans. The UXLX audience knows the power and the barriers of language—speaking the same language as someone else provides a deep and meaningful connection. It lets you build empathy, share insights, and collaborate productively. Designers need to understand the language of business for the same reasons—we need to learn to speak CEO to be our most effective. Successful designs live in the real world of business, organizational politics, and executives who approve your budget. Business fluency helps you navigate that world to build business empathy and be a more effective advocate for better experiences. This talk will share simple but powerful business fluency frameworks to understand business priorities, manage zoom levels between execution and executives, and to translate from business direction to a clear design hypothesis. Designers don’t just need more methods to create solutions or work with users. We need better methods to work with business, and that starts with the power of language. It starts with speaking CEO. How designers are particularly suited for business conversations (if we can avoid some common traps). 3 simple frameworks for thinking, speaking, and prioritizing like an executive. Key patterns for connecting design and business value. By growing our business fluency, we will expand our influence with executives, shape direction and strategy for our product and our organizations, and help design to have a greater impact in the world.